The apartment is located in the rural area from a very small village - Luz de Tavira. From the apartment to the village is 2 min with the car. 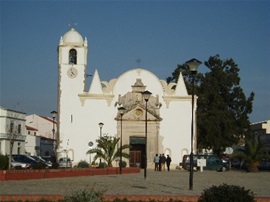 This village covers about 31,53Km2 of the council of Tavira and it’s located around 6Km West from this city. In the village you can find the basic facilities like supermarkt, bank, farmacy, restaurants en bars. 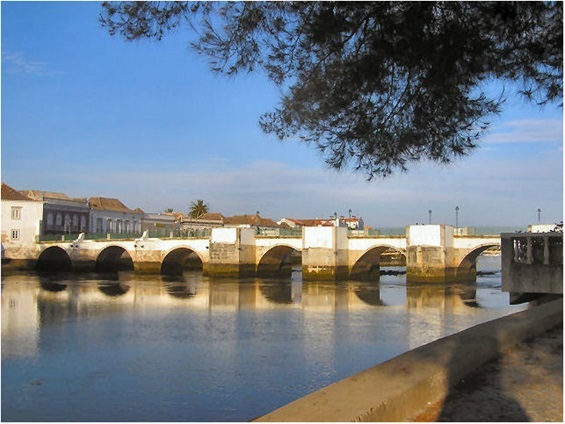 The town of Tavira is centrally located in the Eastern Algarve, about 25 kilometers from both Faro and the Spanish border. By connoisseurs Tavira described as "Queen of the Algarve" with its Renaissance facade, the former castle, over 20 old churches and the palm-lined squares. It is certainly worth seeing and a pleasant town. We find the large covered market, a typical Portuguese shops, as well as several restaurants and cosy cafes with terrace. The beautiful beach of Tavira is an island off the coast. In the summer season there is a regular bus service to the boats that sail you to the island. Depending on how long are your holidays in Tavira, you can more or less things. Tavira is a small town so you can see and do many things in a short time. For example if you only have a weekend stay, then you can choose some of the most important places to visit, such as 2 or 3 churches, the castle, try to go to the island, visiting Pego Inferno and a walk through the center of the city. Furthermore, there are all kind of sea sports and excursions organized by tourist agencies. The Algarve has a lot to offer. You can visit cities, beaches or the montains. There two types of beaches: from Faro until Spain you find sand beaches with dunes in between the amazing Natural Park Ria Formosa, where the water is calm and warm. From Faro to Sagres (Oost) you find rocky beaches with beatifull caves, waves and fresh temperature.